It would be amazing to have a scrolling LED sign display board to keep you up to date on e-mails, news, weather, or stock quotes. Here I recommend a microcontroller project tutorial that shows you how to build an array of 120 LEDs, how to control them all from one microcontroller, and how to talk to it from your computer. I have a question. If I want to glow only LED (2,2), I must set row 2 at 0 V and column 2 at 5 V (so that current will flow through the LED). 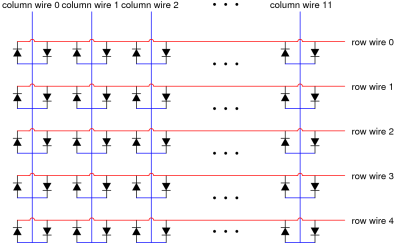 Also, other rows- 1,3,4 and 5 should be set to 5 V and columns 1,3,4 and 5 to 0 V. But now all LEDs except the ones in row 2 and column 2 are reverse-biased with 5 V reverse voltage. 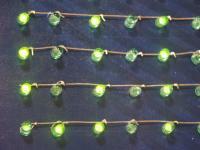 Most LEDs have maximum reverse voltage of 5 V. Is it safe to use this design?